Most millennials first met a 26-year-old Rudd when he played a law student in the 1995 comedy “Clueless.” Countless Judd Apatow flicks and one “Ant-Man” movie later, the only thing more timeless than Rudd’s stardom is his boyish looks. Year after year, role after role, Rudd has astonished viewers and celebrity gossip pages by keeping his youthful face. But thanks to dermatologists and decades of research, you can likely mimic his healthy skin if you start early enough. Scientists have a solid handle on the most potent contributors to skin aging. Major assaults on the skin can occur through too much sun or cigarette smoking, but new potential threats continue to emerge, such as blue light from smartphones. Your genetics also control some aspects of youthful skin. Many skin care products and medical procedures take their cues from this research, but because of the onslaught of cosmetics advertising, it can be hard to spot the best remedies. So, the PBS NewsHour asked three dermatologists for tips on recreating the Paul Rudd effect. It’s hard to say which of these reasons best explains Rudd’s youthfulness –but Paul, if you want to hang out and chat about it, feel free to call me. We typically judge skin aging by what we can see — fine lines, wrinkles and weird pigmentation — but those visible signs don’t always reflect our actual age in years. That’s because those blemishes revolve around the physical integrity of the skin, which in turn, can be altered by the environment. Sun exposure is the most common and well-studied example. When ultraviolet sunlight hits our bodies, it penetrates into the skin’s two primary layers: the epidermis and the dermis. 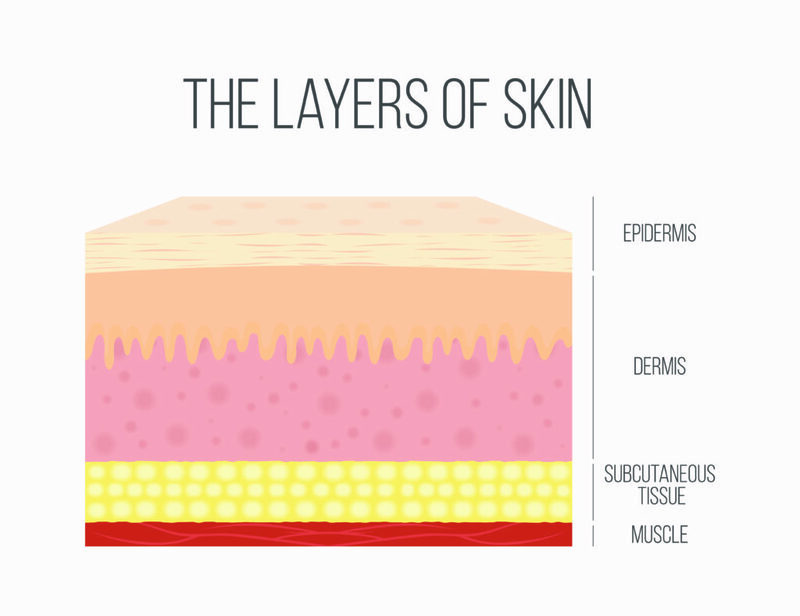 The epidermis is the outermost layer, while the dermis sits right below it. Thanks to its longer wavelength, UV-A accounts for most of the ultraviolet radiation that reaches the Earth’s surface. UV-A travels deeper into the skin. It penetrates the dermis, where it can directly shatter our skin’s scaffolding — namely by destroying two proteins called collagen and elastin. Collagen keeps the skin thick, while elastin provides its youthful bounce. Thinner and less bouncy skin tends to sag and wrinkle. As we age, our bodies also become less adept at repairing damage to collagen, which comes in three varieties. 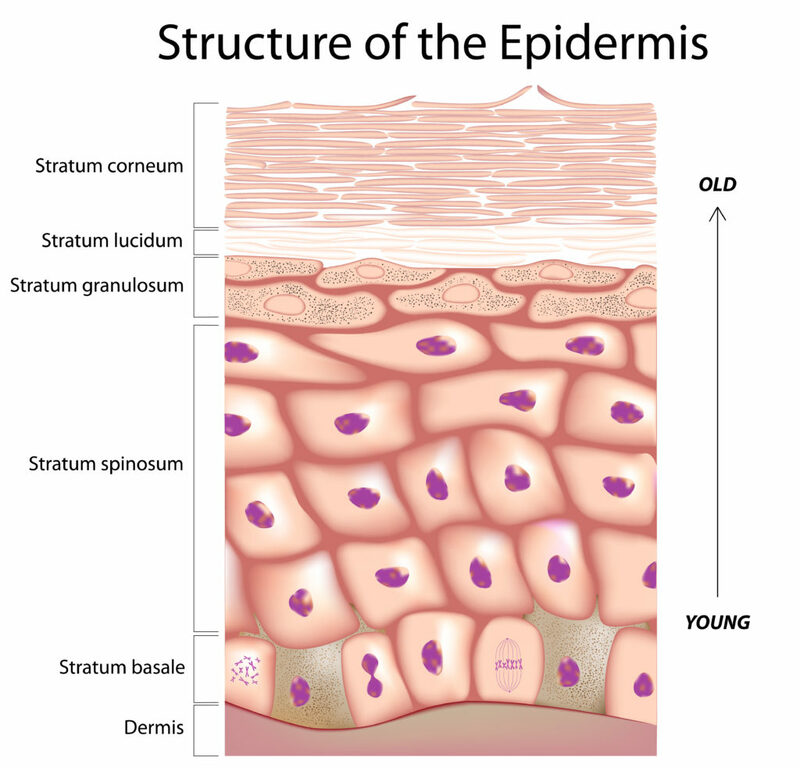 As newborns, we start with an abundance of collagen-3, which responds better to injury, but our dermis gradually switches over to collagen-1 later in life, which is less vivacious. “When you biopsy skin from someone that has had a lot of sun damage, you find a good bit of elastin but it’s clumped,” Blake said. For elastin to work effectively, it needs to be able to spread — like a paste — or otherwise, you lose some degree of elasticity, he added. UV-B attacks closer to the surface, soaking into your exposed epidermis and harming your skin cells. These skin cells are themselves stacked in four to five layers within the epidermis — like pancakes. The innermost stack is constantly multiplying, and its offspring cells gradually rise through the levels toward your skin’s surface. Those cells age and harden along the way until you’re left with what you see in the mirror. Those overexposed skin cells atrophy and lose some of their ability to heal wounds. They also collect DNA mutations that increase one’s chances of developing skin cancer. UV-B also causes our cells to create the chemical equivalent of dynamite: free radicals, otherwise known as oxidative stress. When this happens, the body produces a set of enzymes — MMPs or matrix metalloproteinases — that also degrade collagen and elastin, Blake said. Cigarette smoking boosts these degrading enzymes too, hence why the habit advances skin aging. Dermatologists constantly remind everyone, especially children, about the importance of using sunblock because our skin cells carry their light-based injuries for a lifetime. Most people spend hours a day glued to a screen, whether it is a smartphone, a tablet or computer, dermatologists are now wondering if all of this blue light exposure is discoloring skin. “There is so much melasma, a disorder of pigmentation, that I see now. It’s everywhere,” Blake said. “There is very clear cut data that blue light is involved melasma,” especially those with fair to dark skin. That’s unexpected because blue light is sometimes used to treat skin conditions like acne, but Blake said the nuance might lie in the difference between acute and chronic exposure. Adigun voiced more caution and called for more research. Along those lines, Blake listed a broad spectrum sunscreen — equipped with UV-A and UV-B-blocking ingredients — as paramount in slowing the skin aging process, and Adigun said you might as well choose one that blocks the blue light spectrum too. Sun protective clothing can ward off those hazardous rays, but exposed skin needs a thick coat of sunscreen to sit for at least 15 minutes to maximize protection. Blake said people also overestimate the value of the sun protection factor (SPF). “There’s no major difference between SPF 30 and SPF 50, if someone applies each one how they’re supposed to,” Blake said. The difference between SPF 15, 30, 50 and 100 is marginal; SPF 100 only offers 6 percent more protection than SPF 15. People’s exposure to harmful UV rays more often originates with misapplying these sun creams. “It’s an exponential decline. If you apply half of what you’re supposed to, you’re getting a fourth of the protection,” Blake said. That initial shot glass of sunscreen needs to sit for at least 15 minutes. While you should reapply every two hours, a second coat won’t make up for already burned or overexposed skin. Paul Rudd … rubs on more than just sunscreen? While skin lotions cannot substitute for the protection offered by sunscreen, they can counteract structural damage or oxidative stress in the skin. Blake said while retinol is far and away the biggest product in anti-aging and anti-wrinkle care, it is followed closely by antioxidant creams. He vouches for Vitamin C (ascorbate), but said people need to remember this antioxidant supplement comes in multiple forms. Prevention is easier than trying to reverse skin aging. “There’s pretty good data that their helpfulness depends on the form of the Vitamin C — if it’s stable and if it can penetrate into the skin,” Blake said. His favorite is tetrahexyldecyl ascorbate mixed with Vitamin E (alpha-tocopherol). Applying it in the morning will help to protect against UV and oxidative stress during the day. Medical procedures like laser resurfacing work, ironically, by damaging the dermis so it stiffens up. “The skin subsequently responds like it’s an injury and produces new collagen,” Blake said. Botox injections inhibit the face’s nerves so muscles relax and stop squeezing aged, floppy skin. The consequence is fewer lines on the face. Both Blake and Adigun recommended that people start early with taking care of their skin because prevention is easier than trying to reverse skin aging. Plus, none of these therapies create permanent fixes. Your underlying skin will always continue to age. “Once you start on one of these routines, whether it’s with creams, laser procedures or anything else, you have to keep it up in order to maintain,” Blake said. More and more evidence supports the idea that certain foods promote inflammation in the skin, through what are called proinflammatory dietary pathways. “Those that are high in simple carbohydrates and high in dairy, especially low fat dairy, can increase inflammatory mediators and stress hormones, which can lead to premature aging in the skin,” Adigun said. When people eliminate these foods from their diet, dermatologists see swelling and fullness around the chin and neck go away. 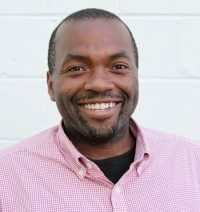 Skin care is also littered with claims of useful dietary supplements, and Adigun said recent research has provided clarity on which ones work, including a retrospective analysis on collagen supplements published in January. Other supplements — like heliocare and nicotinamide — make the skin more resistant to UV-A and UV-B rays. 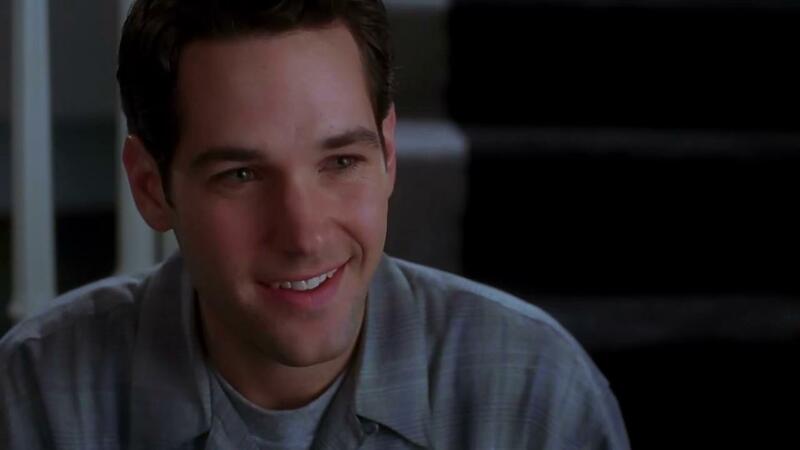 Paul Rudd … has great genes and is a man? While the sun, smoking and other environmental factors play a role, our genetics factor into skin aging too. The clearest examples involves melanin, the pigment that governs our skin color and comes in multiple varieties. As the NewsHour reported previously, skin color is determined by the melanocortin-1 receptor, or MC1R gene that leads to the production of a brown-black melanin pigment called eumelanin. The more eumelanin created by this gene, the darker and blacker our skin and hair are. On the other end of the spectrum pale-skinned redheads have a recessive version of the MC1R gene, which shuts off eumelanin production, shifting the dominant pigment to the reddish-toned pheomelanin. “Having melanin spread more evenly throughout the skin is described as being like an umbrella over the skin, which is more effectively produced in darker skin tones,” Blake said. 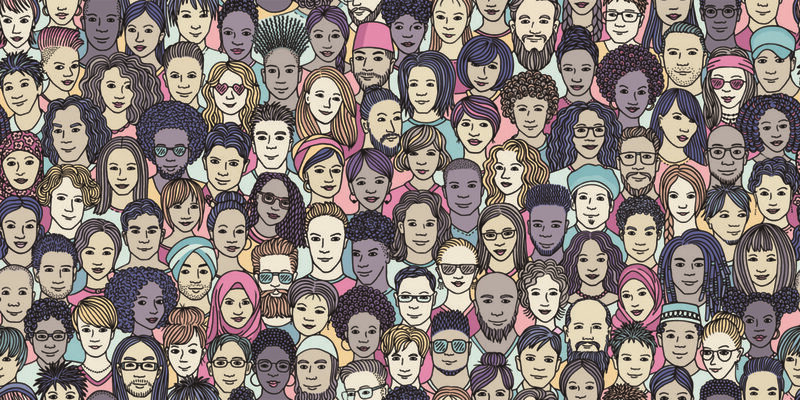 While people with darker skin suffer less sunlight damage and fewer signs of skin aging thanks to these pigments, certain mutations in the MC1R gene also correspond with youthful looks in people of European descent. Paul Rudd is also a man. This point is less in question, but is worth mentioning because men tend to have thicker skin thanks to testosterone, Blake said. His facial structure may also help keep fat off parts of his face. Fat sags, and sags mean wrinkles and other blemishes. Others genes — those involved with DNA repair, cell replication and the productions of natural antioxidants — can keep skin looking youthful too. A 2018 study showed how a person treats their skin can activate these genes in beneficial ways that correlate with reduced skin aging.